Whether it is finding a good cause to knit for or just getting together with others who have yarn to spare, community knitting groups are a great way to explore the love created with the craft. I find it is a great place to experiment with new stitch ideas, or just get your mindless knit on - with absolutely everyone to benefit! Even if you don't like what you end up making, you can be sure that someone else will. My good friend Ingrid shares some tips about starting a community knitting group. "Large groups need a tighter structure, as well as better-defined leadership and decision-making processes, than small groups. Small groups can operate quite successfully on a more collaborative basis." 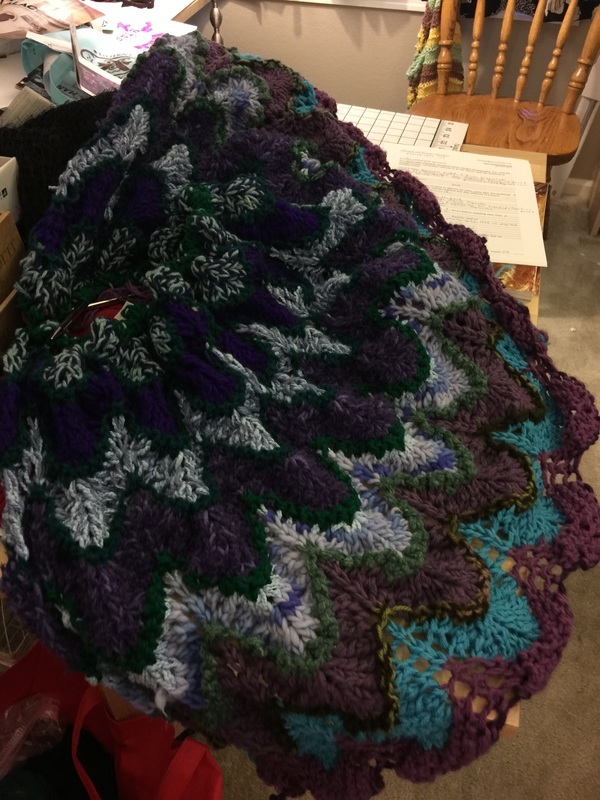 "That said, if someone has an idea for an event or group project, s/he should be willing to do some of the work involved (sewing together the squares for a blanket, making phone calls, etc.)" "Dues should only be collected if there is a specific goal or intended use for the money (rent for a meeting place, a field trip, funding a speaker, purchasing yarn for or mailing projects for charity, etc.) Furthermore, they should be reasonable and fair (someone needs to keep track of who has paid and who hasn’t)." "We all love it when someone gives us a bag (or even a ball) of yarn, but some folk will donate anything to get it out of their home, so yarn donations must be carefully inspected and the inspector should not hesitate to toss questionable items (smoke-saturated, potentially moth-infected, extremely short lengths of yarn, etc.)" "If charity knitting is part of the program, it should be focused. Of course, anyone inspired to knit for a particular charity should follow through and no one should be forced to participate in a group project, but it doesn’t do the group any good to knit one or two items for 12 different charities." "Finally, it’s important to acknowledge that most groups have a natural life span. Sometimes it’s best to let go and end a group - there will always be others." The Recycled Lamb Community Knitting group donates knit and crochet 7"x9" rectangles composed into afghans as well as baby blankets to Family Tree. We use donated yarn but anyone can knit or crochet the rectangles and bring them in to be used!